Posted in DIY, Explore, Fashion, Food, Fun, Shoes, Treats	by C.
What I’ve come to love most about the blogosphere is how information moves around so freely. Places you’ve never heard of and ideas that wouldn’t have even been on your radar come your way and your world is changed because of it. 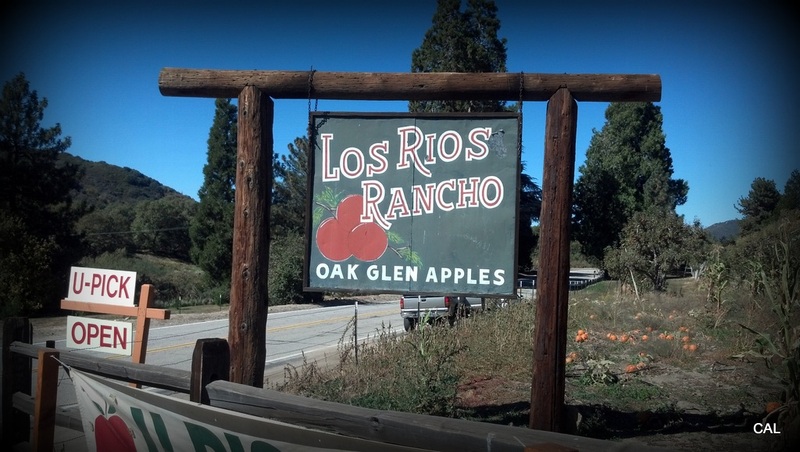 This was the case when I learned of Los Rios Rancho in Glen Oak, CA – an apple farm in San Bernadino county. 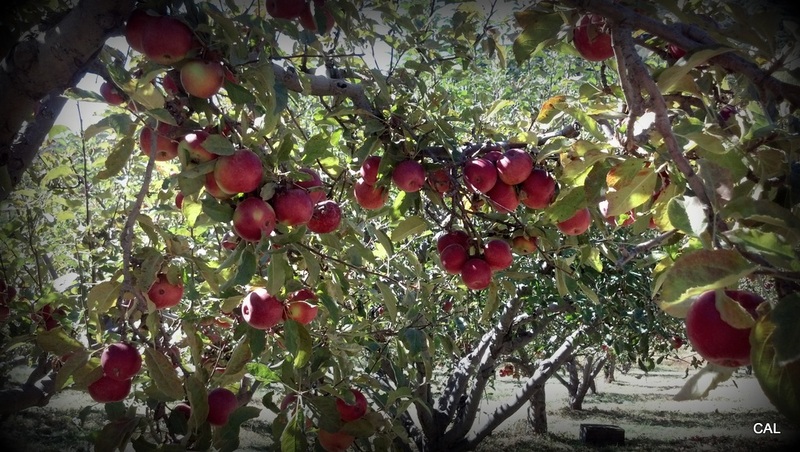 I thought it would be a great mini road trip to spend the day learning about apples, picking them, exploring the property and area; and when I heard they had a pumpkin patch, my boyfriend suggested we grab ours from here this year. A 2-hour car ride on a Saturday fall morning (unbelievably it was 90 degrees!) was a great way to kick off a memorable day. Random fact about me: I like zoning out and staring out the car window on long trips – it gives you time to think and take in the world from a different perspective. 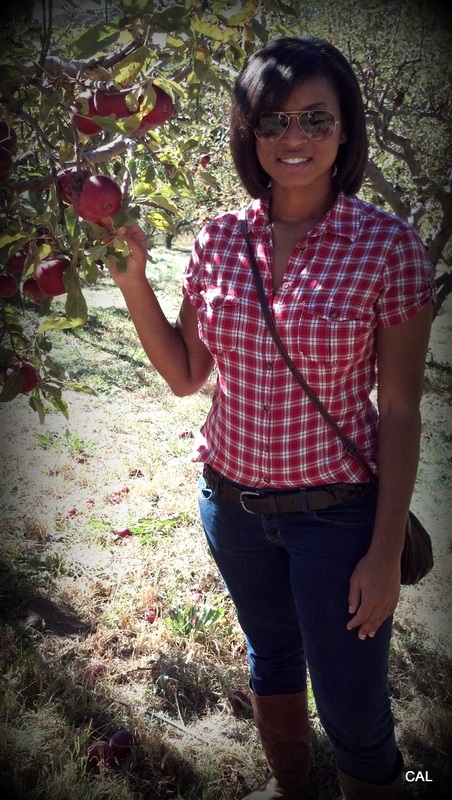 I decided to dress the part and have fun with playing the role of a “semi-farmer” from the city, by breaking out my plaid button down shirt and brown riding boots for effect. We arrived around 12 noon and the farm was already busting with activity. 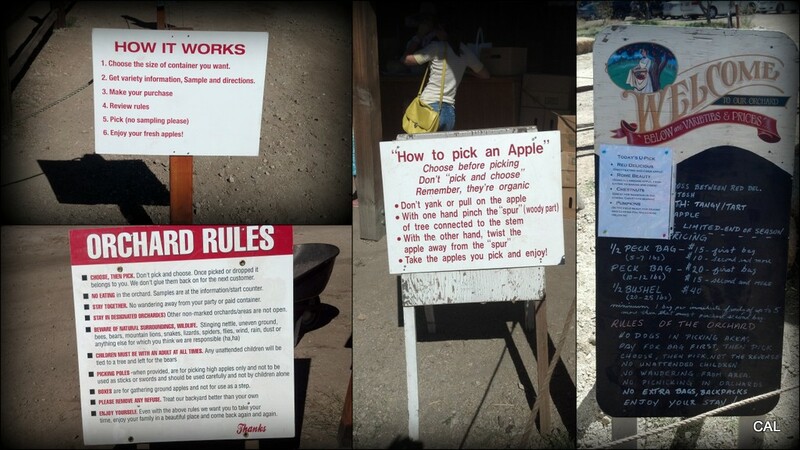 We had a quick sample of the day’s available apples in the orchard: rome beauties, double red delicious, and red rome, with a few golden delicious remaining; and after learning how things work (with signs posted everywhere to remind you! 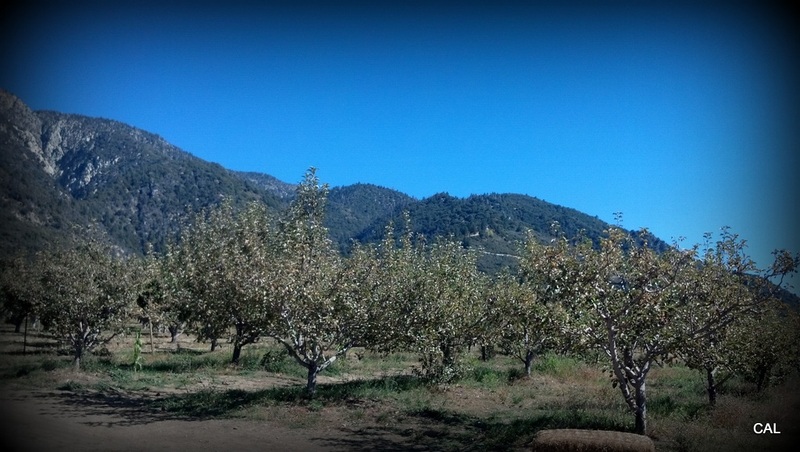 ), we bought a 5-7 pound peck bag and headed out to the fields. 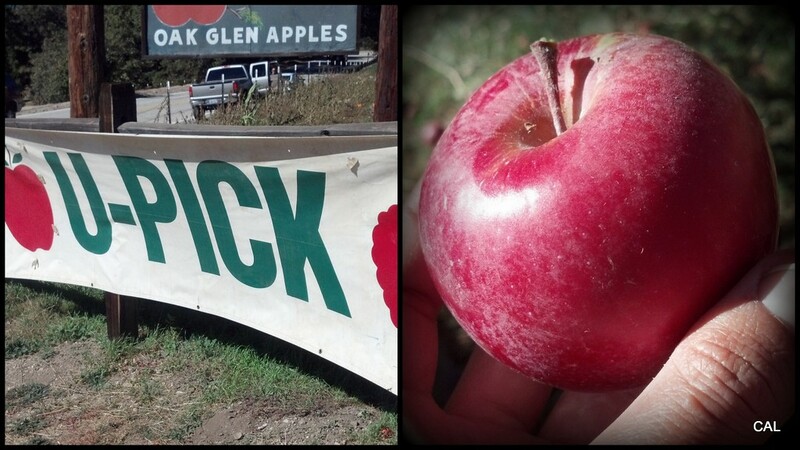 First up, finding the best looking apples we could. 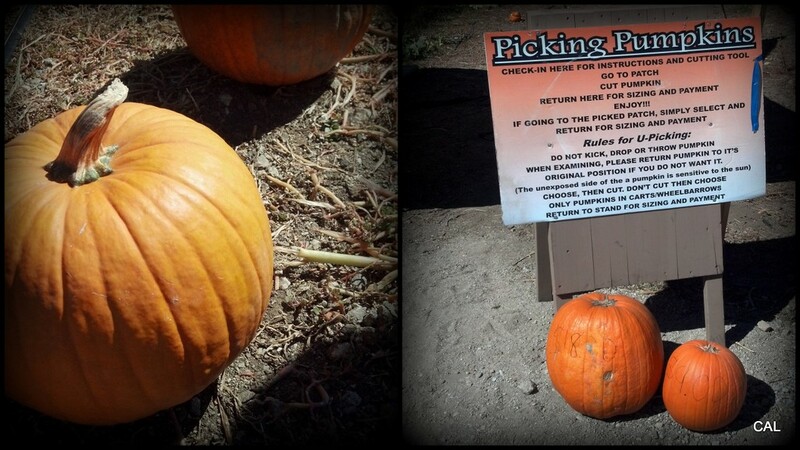 After our bag was stuffed with apples, we made our way to the pumpkin patch. 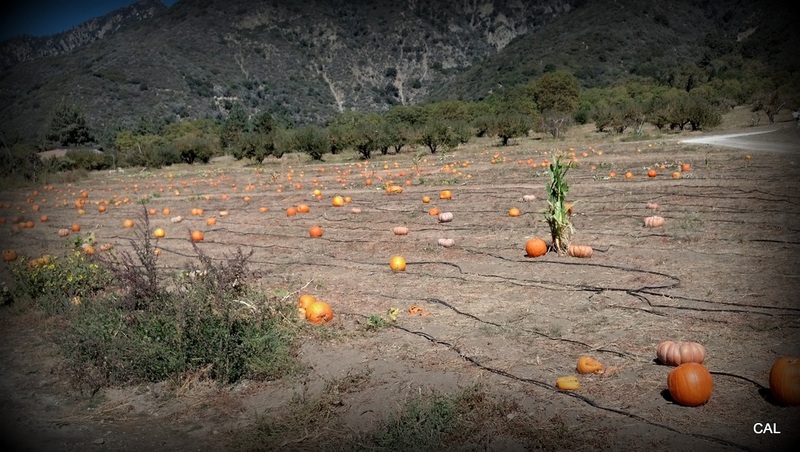 It was pretty obvious that we were late in the season, being the weekend before Halloween, so the selection was sparse but we found winners! I got a large one and my guy got a small one (we like to break convention like that!) 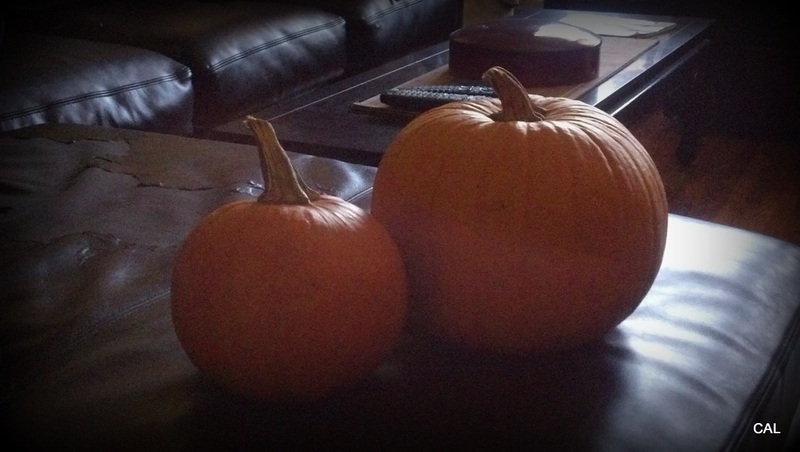 for our carving session the next day. To see how things turned out, click here. From the farm, we went into town for a bit. 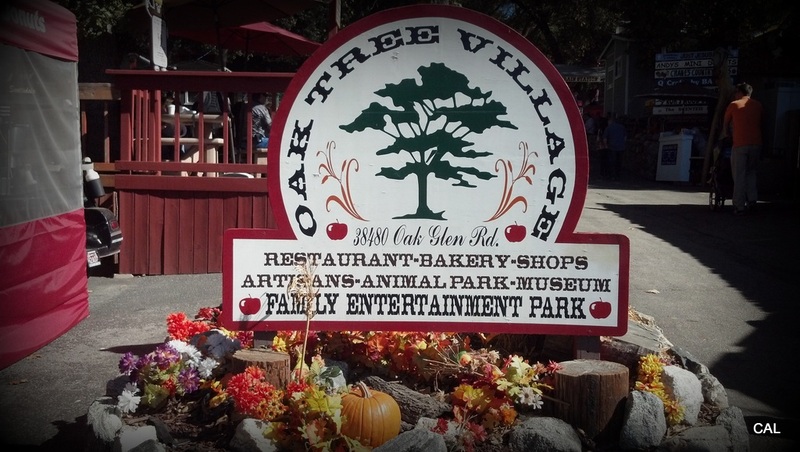 Oak Tree Village is a small, charming community of quaint shops, places to eat, and activities for the kids. A stroll through the grounds landed me the best glazed almonds and cashews ever, and a taste of Andy’s Mini Donuts that made my tongue dance and my stomach tell me – “stop eating!” Good thing I had all those apples to look forward to, I was going to need lots of fruit in my diet in the near future. When we made it home late that evening, we took stock of the days’ labor in the fields. 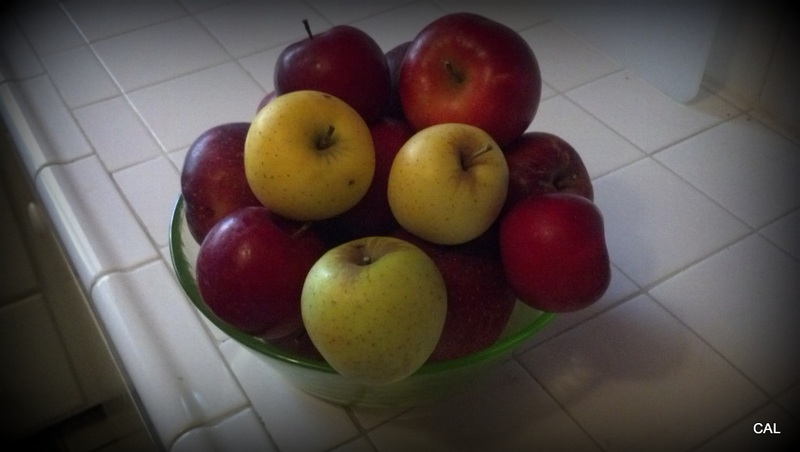 16 apples and 2 great looking pumpkins!